It might seem totally bonkers to turn avocado into a pasta sauce – but trust me, it works! 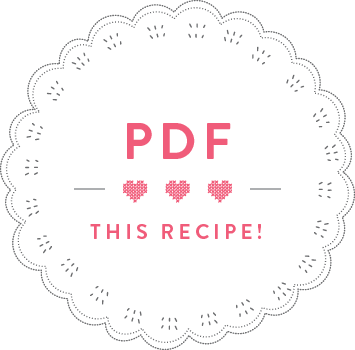 Creamy, filling and absolutely delicious paired with smoky bacon! Roast the almonds in a small frying pan until golden. Set aside. Meanwhile, peel and crush the garlic cloves. Cut open the red chili lengthwise, remove the seeds and finely chop. Halve, destone and peel the avocados. Put the almonds into a blender and briefly pulse. Add the avocado, olive oil, basil leaves a generous pinch of salt and pepper and 4 tablespoons of cooking water from the pasta and blend into a puree with the almond chunks. Set aside. Fry the bacon lardons in the small frying pan used for the almonds. Once the fat is released, add the chili and fry for another minute, then add the crushed garlic and fry for another minute. Take off the heat and set aside. 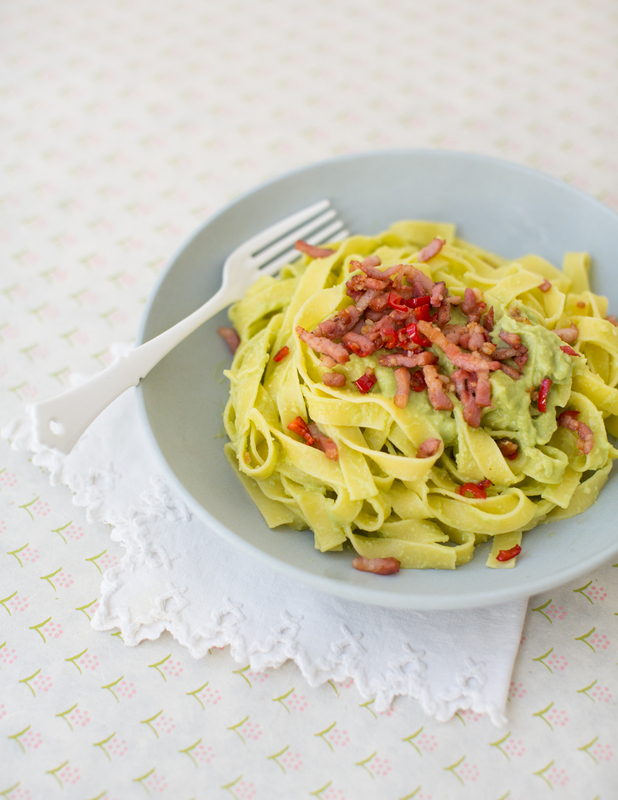 Drain the pasta and put back into the saucepan with the avocado puree and the fried bacon. Stir so that the pasta is evenly coated in sauce. Serve immediately.